Road traders and carriers of heavy equipment and goods. Mine Site Rehabilitation, Mine Site Maintenance, Camp Construction and Setup, Civil Earthworks, Clay Spreading, Dam Construction and Renovation, Plant Hire: Loaders, Graders, Dozers, and Heavy Haulage. DEPL haulage and transportation services. 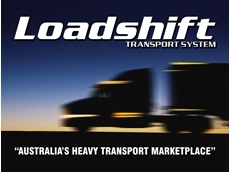 13/07/11 - Loadshift are pleased to announce that the Loadshift Transport System can now be accessed via internet capable mobile phones, or Smart Phones. 18/03/09 - Advance Accessories are the sole importers and distributors of the Martin range of lowbed trailers in Australia. 04/08/08 - K.C. Farm Equipment offer a wide range of mowing equipment and general farm machinery. K.C. Farm Equipment stocks linkage parts, seats, belts, tools, mower parts, general engineering parts and bearings.